Our investees are both financial service providers and funds serving our end-clients, which are micro, small and medium enterprises (MSMEs) operating in developing countries. To learn more, read about our featured investees around the world. 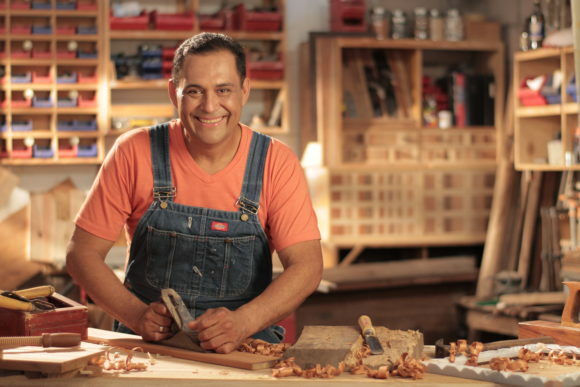 Centro Financiero Empresarial was created with the purpose to support the development of micro, small and medium enterprises in the rural and urban areas of Panama. CFE has a wide range of products and services, which translate into smart financial solutions that contribute to build long term and fruitful relationships with its client base. CFE’s vision for 2023 is to be recognized as the pioneer microfinance institution in Panama with an innovative, agile, competitive and socially inclusive product offering. CFE currently serves almost 4,000 clients via nine branches spread throughout the country, and almost 30% of its clientele are female. Their attitude towards improving their clients’ quality of life made CFE an ideal fit for Triple Jump, so much so that one of the funds we manage acquired shares of the MFI in 2011. Our representative is the President of the Board. A key aspect for achieving the MFI’s long term strategy is their staff, and CFE is investing in developing their employees through a corporate university, management of change and a happiness manager. 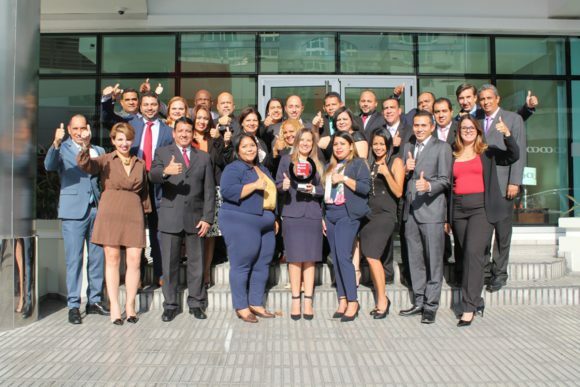 Since Triple Jump started their investment, CFE has also achieved the ‘Great Place to Work’ ranking in Panama, with a satisfaction level of 73% in 2018, and they aim to increase to 78% in 2019. The MFI effectively implements its exclusion list and code of ethics. CFE also tracks the progress on the poverty levels of clientele for all credits. In order to further expand its social footprint, CES will launch a product focused for women and another one for young entrepreneurs later in 2019. CIDRE is a regulated NGO (IFD in Bolivia) and is currently the third largest in the country in terms of portfolio size (USD 97 M allocated to 19k clients). It operates through a network of 30 branches distributed in 8 regions, having a market participation of 13% of the microfinance market attended only by the regulated IFDs. CIDRE has about 60% of its portfolio in rural remote areas where many other MFIs do not operate. 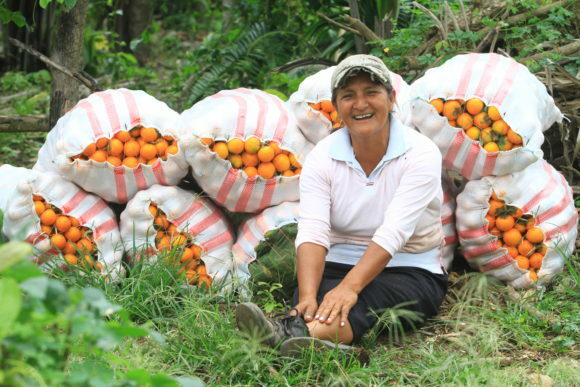 CIDRE is one of the most successful NGOs in Bolivia in rural and agriculture lending, with a proven track record and more than 25 years of experience. In November 2016, CIDRE obtained the license to operate as a regulated IFD, and currently it undertakes a consolidation phase (2019/2020) preparing to become a regulated bank in the medium term. CIDRE offers credit products and non-financial services, targeting micro and SME agriculture entrepreneurs. Triple Jump supports CIDRE’s plans to further reach micro entrepreneurs and SMEs in the productive sectors from rural, remote areas. It is one of only three MFIs targeting this market segment in the country. 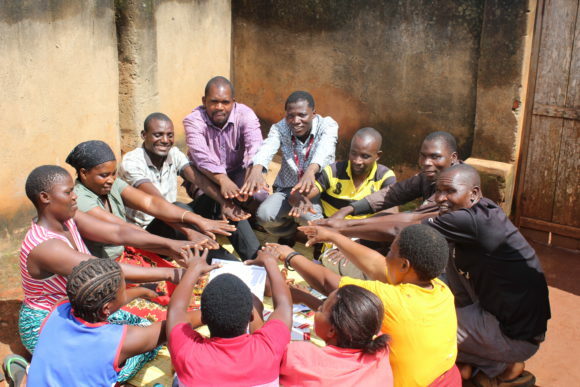 As part of the FINCA Impact Finance Network, a group of 21 microfinance and financial institutions globally, FINCA Malawi’s mission is to alleviate poverty through lasting solutions that help people build assets, create jobs and raise their standard of living. Because of the shared interest in financial inclusion for the poor, FINCA Malawi has been a Triple Jump investee since 2013. With its headquarters in Blantyre, FINCA Limited is now operating 23 branches countrywide and a growing Agency network servicing both rural and urban areas but with a primary focus on rural areas for financial inclusion. Since its inception in 1994, the institution has grown throughout the years to be first and currently only deposit taking microfinance institution in the country, serving over 36,000 clients by providing access to loans and savings products. Malawi is a largely agricultural country that was affected by drought in 2017 and early 2018 which affected food production. Consequently, the performance of FINCA Malawi was affected and we saw the portfolio at risk increase. This has now stabilized. 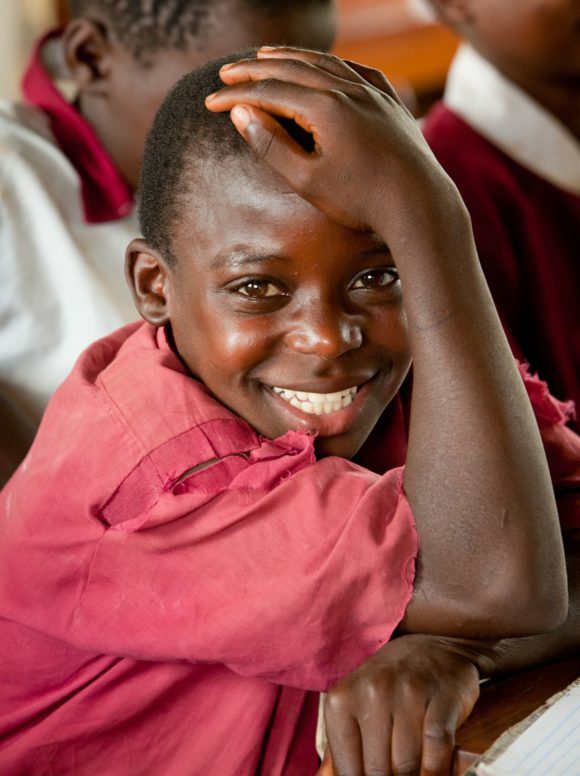 Overall, Malawi has made significant progress over the decades through employing efforts to reduce the effects of the HIV epidemic, underdevelopment and corruption. Triple Jump renewed a facility in April 2018 making the total exposure to FINCA Malawi EUR 1 million. FINCA Malawi is our only investee in Malawi. Caja Municipal de Arequipa began operations in 1986 and it is part of Peru’s system of Cajas Municipales, developed under the model of Sparkassen from Germany, in which the local government is the owner of each Caja. With over more than 30 years of development, it became one of the market leaders in the microfinance sector. They provide loans for micro and small enterprises for the most part, and also consumption, housing and loans for medium-sized enterprises. With a gross loan portfolio of USD 1.3 billion, Caja Arequipa is currently the second largest MFI in Peru, having 12% of market share. Its outreach is remarkable: over 375,000 borrowers and 1 million savings clients, it has over 3,800 employees, and benefits from a network of 130 branches within the country. 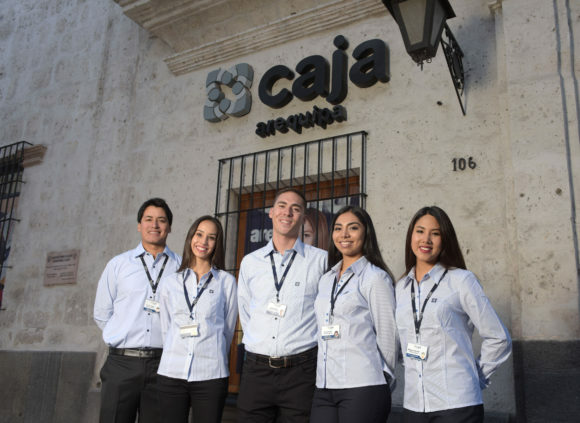 Caja Arequipa is one of the best performing MFIs in Latin America and in a country with the best microfinance regulation worldwide. Its focus in MF, good social practices and great outreach make it an excellent fit for Triple Jump. 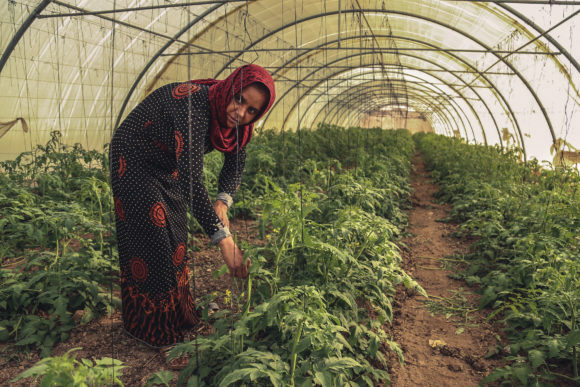 Microfund for Women (MFW) is a private non-profit company registered under the Ministry of Industry and Trade that operates under the supervision of Central Bank of Jordan. It is also one of nine microfinance companies that work under the umbrella of Tanmeyah – Jordan Microfinance Network. 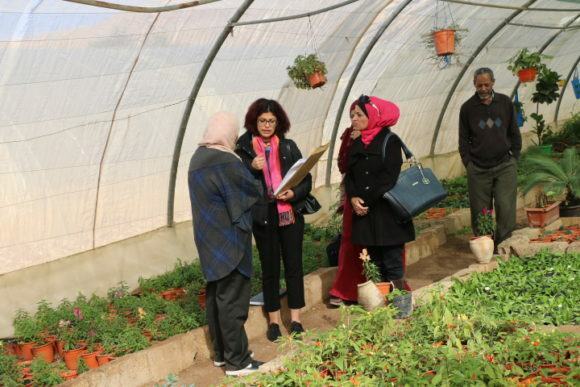 MFW began its operations in 1996 and is considered one of the leading companies to provide financial services to low-income, small business owners in Jordan in order to empower women economically and socially, so they become active members of society. In 2018, over 140,000 people, 96% of whom are women, have benefited from MFW served by over 780 employees spread over 61 branches across the Kingdom. For more than two decades, MFW has granted over one million loans valued at more than JOD 500 million. MFW seeks to offer its products and services in innovative and transparent ways, on par with international standards through easy and accessible procedures. MFW also provides non-financial services, which include the ‘Himaya Protection Program’, a life insurance product designed to assist low-income households to cope with uncertainties. In addition, MFW offers Afiatuna, a first-of-its-kind in the region that aims to lower hospital expenses as a result of health emergencies. In 2012, MFW received the Mohammad Bin Rashid Award for Young Business Leaders Award as the Best Fund to Serve Women in the Arab World. In 2011, it was presented with the Grameen-Jameel Award for Financial Sustainability in the Arab World, in addition to the Innovation and Development of Microcredit Products Award in the Arab World in 2012. In 2014, MFW won the Women’s World Bank Excellence in Leadership Award, as well as the Transparency Award from Sanabel – The Microfinance Network of Arab Countries in 2016. Moreover, MFW received an ‘A’ rating in Financial Performance and a ‘4-‘(out of 5) rating in Social Performance from Planet Rating, thereby topping 400 local microfinance institutions. 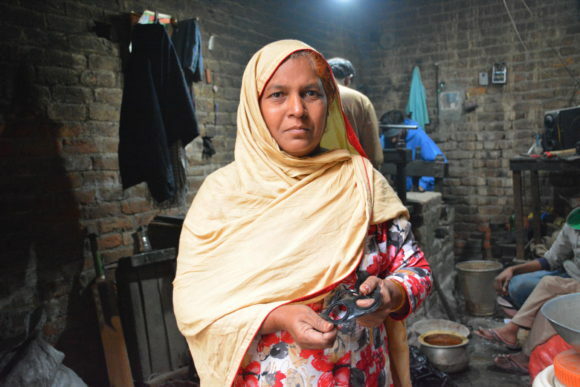 Rural Community Development Programme (RCDP) is a non-bank MFI based out of Lahore, Pakistan specifically targeting women in rural areas. RCDP mainly operates in the Punjab province where around half of Pakistan’s 200 million population lives. RCDP originated out of the NGO Rural Community Development Society (RCDS) which it continues to partner with today as it recognizes that financial services are not the only tools for social, economic and financial development. Together with support from various domestic and international investors, partners, and formal institutions, RCDP and RCDS have implemented integrated programmes for, amongst others, social mobilization, health with quality services for antenatal and postnatal care, safe deliveries in basic health centers, livelihood employment & enterprise development, and farmer enterprises development programs. To date, RCDP serves just over 100,000 clients out of 52 branches across Punjab through a range of different loan products. 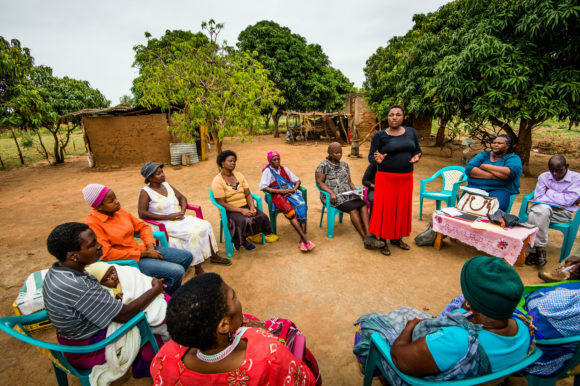 Over 80% of its portfolio is in rural areas with 93% of its clients being women. Its growing portfolio currently amounts to USD 24mln representing an average loan size of around USD 240. With less than 25% of the population in Pakistan having access to formal financial services, there a lot of unmet demand. Especially the rural areas, where RCDP is active, are highly underserved. We see great value in the integrated approach of RCDP by providing financial services in combination social programs. ACME is a key player in the microfinance space in Haiti and a leader among local non-banking financial institutions. 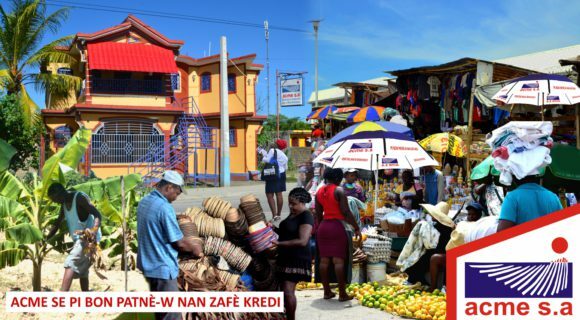 A success story in the complicated Haitian context, ACME celebrated 21 years of operation in 2018, having resiliently thrived through successive socio-political, macroeconomic & natural crisis. A solid provider of individual credit through 31 branches covering 50% of the territory, ACME is a key client for Triple Jump since 2008. ACME has now engaged in a strategic reflection over further diversifying its product which offer to support growth towards 2020. Haiti is the poorest country in the Western Hemisphere and one of the poorest in the world. ACME has concrete social indicators: 70% of clients are female and 68% are located in rural areas. Additionally, ACME proposes a credit product for agriculture and specific loans to marginalized households affected by HIV/AIDS, whereby borrowers receive financial education and health treatment. VisionFund Uganda (VFU) is a microfinance affiliate of World Vision Uganda, incorporated as a company limited by shares with World Vision Uganda and VisionFund international as the shareholders. It started in 1996 as Med Net (Micro Enterprise Development Network) and rebranded in 2012 as VisionFund Uganda. VFU targets the low income entrepreneurs especially in areas where World Vision operates and with the vision “For every child life in all its fullness our prayer for every heart the will to make it so” 148336 children have been impacted. Using the two lending methodologies of group and individual VisionFund Uganda offers Agriculture loans, Business loans, School fees loan, Asset loan and Eco loan. With a network of 22 branches in the eastern, southern, western, central and northern parts of the country 49, 000 clients have been reached with a portfolio of 25Bn. It has a strong social mission and implements social performance as a bottom line to run its operations and highly targets women. Apoyo Integral (AI) is the only regulated MFI in El Salvador and the largest one in GLP terms with USD 101M serving more than 18,000 clients, 60% of which are in rural areas. With headquarters in San Salvador, the MFI covers 93% of the Salvadorian regions through 26 branches. Since 2007, Triple Jump has been collaborating with AI. The MFI was a perfect fit for Triple Jump due to their 15 year track record and its specialization in financial inclusion by providing access to funding to those excluded from the formal sector. AI was the first ever loan provider for 52% of its clients. In addition, AI is committed to achieving a triple bottom line. It is the second Salvadorian MFI to receive the Smart Campaign Certification. It also offers green loans and was selected to participate in the IDB’s Ecomicro program. Its green offer includes financing and assistance to clients with initiatives for CO2 reduction, solar panels, replacement or substitution of polluting vehicles and water pumps. Small Enterprise Foundation (SEF) is a social non-profit MFI which provides group loans through an adapted Grameen methodology. Founded in the last years of the apartheid regime in South Africa, its mission is to bolster small enterprises to bridge racial divides and boost incomes. They have a very broad outreach with 80 branches in 5 South Africa provinces, 160k customers and USD 36m value of loans outstanding. Offering a microcredit product and savings facilitation, they have a very strong social focus. SEF is a very social MFI. 100% of clients are women; loan sizes are on average as small as 3% of GDP per capita ($173); over 90% of their clients are in rural areas; 56% of clients live below the National Poverty line. They use a Participatory Wealth Ranking system to increase their outreach and finance and health education alongside their products. Additionally, in 2012 SEF received a social rating of ‘alpha’ from the Micro-Credit Ratings International (M-CRIL), indicating ‘strong social commitment, very good systems, evidence for good adherence to social mission and values’. They have also been awarded the Pioneer Award from Grameen Foundation for their groundbreaking work in South Africa.Triple Jump has been a very proud supporter in assisting SEF expand their outreach and social impact. BancoPyme Ecofuturo is one of Triple Jump’s investees in Bolivia, with a gross loan portfolio of USD 420M disbursed to 54K active borrowers at the end of Q1 2018. Through a network of 71 branches with national coverage, it includes about 373K active depositors. 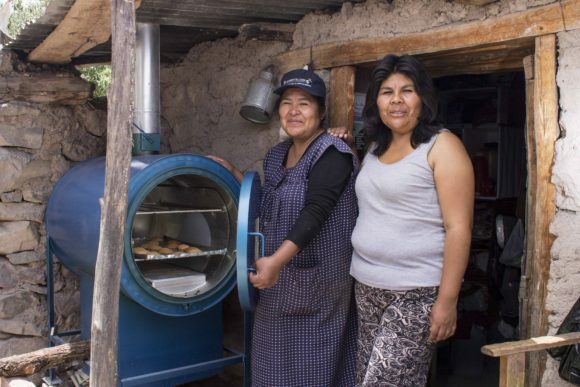 It is the 6th bank among the eight microfinance banks in Bolivia, serving micro-entrepreneurs with integrated financial products and non-financial services. About 40% of branches are located in rural areas, ensuring good proximity to end clients and good accessibility to its products. Ecofuturo is among the very few banks in Bolivia which kept the focus on micro-loans (60% of clients with loans <USD 5K). In addition, Ecofuturo benefits from a strong shareholder structure which has always accompanied the institution, both financially and technically. The regulatory framework in Bolivia requires a lot of adaptability and efforts in attending the excluded sectors at very low costs structure. Ecofuturo has a good market strategy and understanding on the Bolivian MF dynamics, good market position in rural areas, committed managers and staff, good internal controls and credit risk management, all of which help the institution to overcome competition and regulatory pressures. 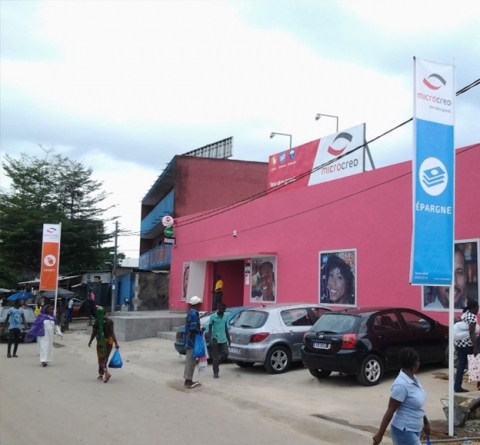 MicroCred Cote d’Ivoire (MCCI) began operating after the end of the 2010 Civil War and despite starting in this tumultuous period, they managed to grow to become the country’s leader in MSME finance. With 21 branches, they serve around 150k clients (30k borrowing clients and 120K deposit clients), and nearly 35% of the total clients are women. MCCI’s client-centric approach is evident in the wide variety of products they have developed: Micro + SME loans from as small as EUR 300 to 300k, deposit services, insurance and money transfers. They also have a model of being proactive, flexible and close to their clients which has enabled them to successfully operate in underserved areas of Ivory Coast. MicroCred Cote d’Ivoire is part of a wider MicroCred network which is known for its entrepreneurial approach. This entrepreneurial spirit has been evident in their fast growth and ability to seize the market demand in Ivory Coast. A client of Triple Jump since 2013, they have also been quick to adopt innovation and technology and are currently digitizing their services. This will help them continue to expand their reach into more remote areas of Ivory Coast and further improve their client services. Bina Artha Ventura (BAV) is a fast growing Indonesian microfinance company which started its operation in December 2011. BAV is also part of Credit Access Asia, a EUR 500 MN assets credit group head-quartered in Amsterdam, managing integrated microfinance operations in India and South-East Asia (Indonesia, Philippines and Vietnam), serving 2.5 million self-employed and micro-enterprise clients. BAV offers working capital through a modified version of the traditional microfinance Grameen group methodology exclusively to women who do not have or have only partial access to the formal financial sector. In addition, Bina Artha provides access to business loans for small enterprises. Currently, BAV provides its services through an extensive network of almost 300 branches reaching over 300,000 clients in Java and Sulawesi islands, and plan to gradually expand to other islands of Indonesia. Bina Artha is inspired by the idea that by improving access to finance to low income households that are engaged in micro and small enterprises provides them with an important tool to achieve economic and social empowerment. Bina Artha thrives to work in a fair, transparent, efficient and sustainable manner. Al Majmoua is a nonprofit, non-partisan NGO with the mission to improve the life of vulnerable groups with a focus on micro-entrepreneurs, especially women, in urban and rural areas in Lebanon. The MFI is the market leader in the country, offering a wide variety of products with group and individual loan products, including home improvement, VSE, ICT and local currency loans. Al Majmoua serves over 75,000 clients with an average loan size of around USD 1,000, with the majority (close to 60%) being female and a significant number being from rural areas in Lebanon (44%). Al Majmoua also provides Non-Financial services to an average of 2,000 beneficiaries per year. Al Majmoua has been supported by Triple Jump since 2009 and has shown a willingness to adapt to the needs of underserved communities. The institution extends their services to both Lebanese and non-Lebanese residents (Palestinians and migrant workers), of all religions and across the country. Since a large number of Syrian refugees entered the country, Al Majmoua developed a specific loan product it offers to these clients. In the last years, with funding from the Microbuild Fund and technical assistance from Habitat for Humanity, the institution developed and promoted its housing product, nearly doubling its GLP in both 2016 and 2017. Founded in 2009 by, amongst others, social impact investor Accion, Grassland Finance Limited (GFL) is one of the first foreign-owned micro credit companies in China. 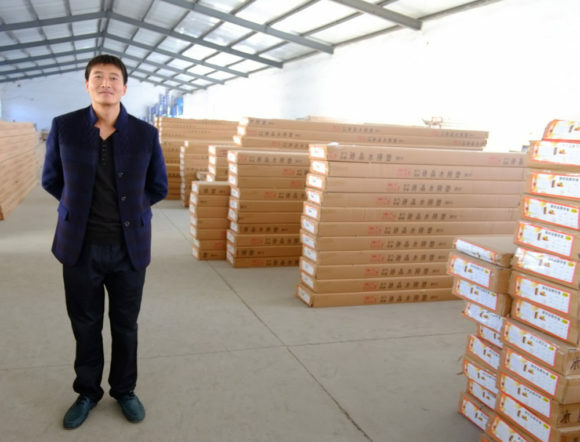 With its head office in Beijing, GFL provides funding to micro, small and medium sized businesses (MSMEs) across seven different provinces in China. Triple Jump supports GFL because the organization has a wide range of loan products combined with a unique credit scoring model allowing GFL to finance businesses that are unserved by traditional banks. By providing a mix of working capital, agriculture microcredit and business loans up to USD 400K, GFL can provide exactly the right product for small businesses to grow. Customer satisfaction is enhanced by smooth approval processes and use of an online client portal where customers can login to access their repayment schedule, transaction history, loan application status and other application details. With MSMEs being the country’s prime driver of employment, Triple Jump’s loan to Grassland Finance Limited promotes job creation in China. 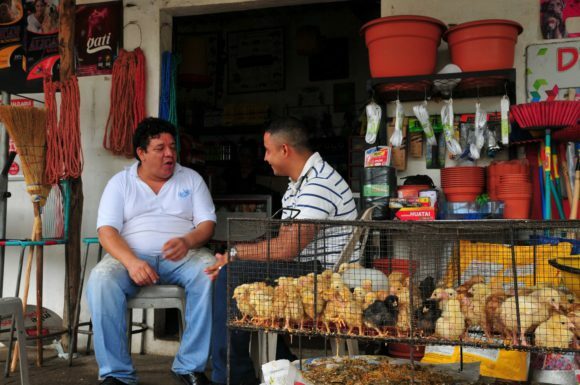 Enlace is the biggest microfinance institution (MFI) in El Salvador, serving more than 47,000 clients across the country, almost half of which are located in rural areas. Triple Jump has been collaborating with Enlace since 2012. Enlace helps the poorest segments of the BoP, and 80% of its clientele are female. Additionally, Enlace puts continuous efforts to improve the quality of life of its clients. In order to measure the real impact of their work, they implemented the Progress Out of Poverty Index®, which has been embeddd in its Management Information System since early 2016. Enlace additionally follows-up effectively on client needs through one-on-one interactions with loan officers and through bi-annual focus groups. Enlace is also the first Salvadorian MFI to receive the SMART Campaign Certification. Founded in 1996, Kashf Foundation was the first specialized microfinance institution in Pakistan with the aim to alleviate poverty. Operating out of 260 branches across Pakistan, with its head office in Lahore, Kashf has over 300,000 clients and is the largest non-bank MFI in the country. Driven by its founder and current Managing Director, Roshaneh Zafar, Kashf has been instrumental in addressing women-focused microfinance in Pakistan. The organization exclusively serves female clients, not only through small loans, but also by providing services to build their capacity and enhance their economic role. Kashf’s products and services are especially designed keeping in view the clients’ business and life-cycle needs. Although the average outstanding loan amount is small at only USD 250, all clients are addressed and served individually. Kashf puts great emphasis on client protection and has been the first institution in Pakistan to have been certified by the SMART campaign. 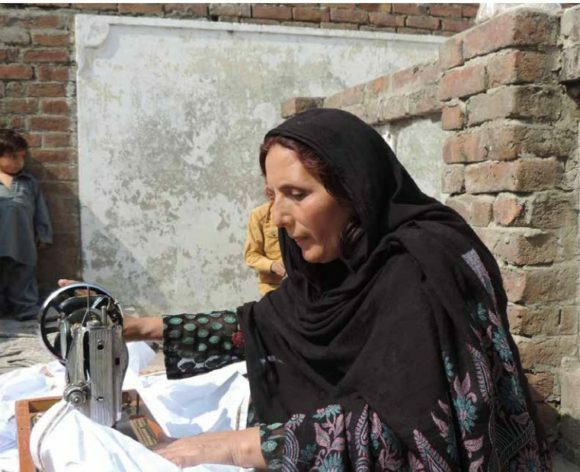 Over the course of its evolution, Kashf has been able to help hundreds of thousands low-income households, especially women to lead lives of dignity through economic empowerment via access to financial services. Triple Jump financed Kashf to support the organization in its mission to promote gender equality and uplift the economic situation of women in Pakistan. 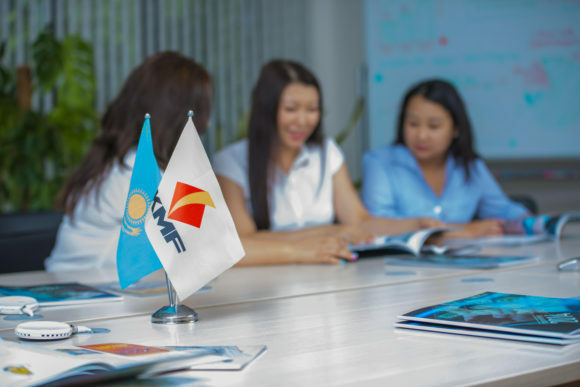 KMF is the biggest MFI in Kazakhstan and one of the leading non-banking providers of the microfinance services in Central Asia. KMF has an impressive network size, serves more than 200K clients throughout the country, and has a strong focus on women and rural borrowers. KMF offers group and individual financing mainly for business development, crop farming and cattle breeding, as well as home improvement. The loan product offer is supplemented by ongoing training for clients, aiming to increase the level of financial literacy of the overall population. KMF’s adherence to responsible lending, clearly defined and measurable social impact targets and wide rural outreach are the key factors contributing to the fruitful cooperation between Triple Jump and KMF. This partnership continues for more than 10 years. KMF was the first company in Kazakhstan to receive the Smart Campaign Certification for client protection principles in 2015. At present, it remains the only MFI in the country being assigned a social rating grade of A+ from MicroFinanza Rating. COAC Jardin Azuayo (COAC JA) was founded in 1996 as an initiative to support the reconstruction of the local community in the region of Paute which had been impacted by a natural disaster. 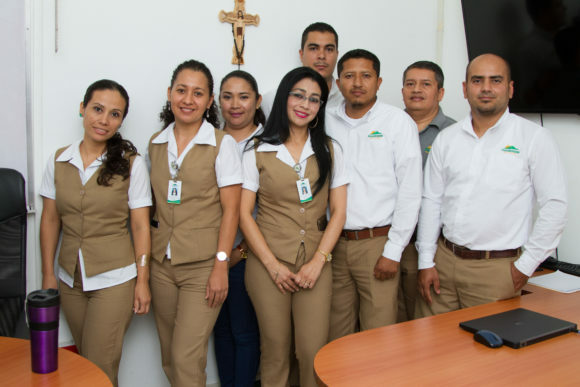 With USD 710M in assets, of which USD 532M in portfolio and about USD 96M of capital as of July 17, COAC JA is the second largest cooperative in Ecuador, having excellent brand recognition and strong social ties in the areas of operations (about 65% of exclusive clients). It operates in 5 regions: Azuay, Cañar, Morona Santiago, Loja and El Oro through a network of 38 branches, 6 satellite branches and 23 representative points. COAC JA applies the individual lending (98% of GLP) as well as the village banking methodology (2% both in terms of clients and GLP). As of July 17, COAC JA’s client base is about 390,000 members, with approximately 84,000 active borrowers; 46% of clients are females, and about 73% of total clients are living in rural areas. The average client age is 40 years (productive and economical active age); about 52% of active borrowers have a primary education level, 33% have secondary level, 8% with higher education, and the remaining 8% are illiterate. The economic sectors are well diversified between services, production, agriculture, trade, housing, handcrafts, tourism, transport, education, health etc. COAC JA is the second biggest cooperative in Ecuador, has a strong market position in the South of the country, is able to generate new GLP with good portfolio quality indicators, and shares prudential liquidity and solvency positions well above the regulator’s requirements. In addition, COAC JA offers different education modules to its members with a special focus on financial education, technical skills and knowledge modules for agri-entrepreneurs. 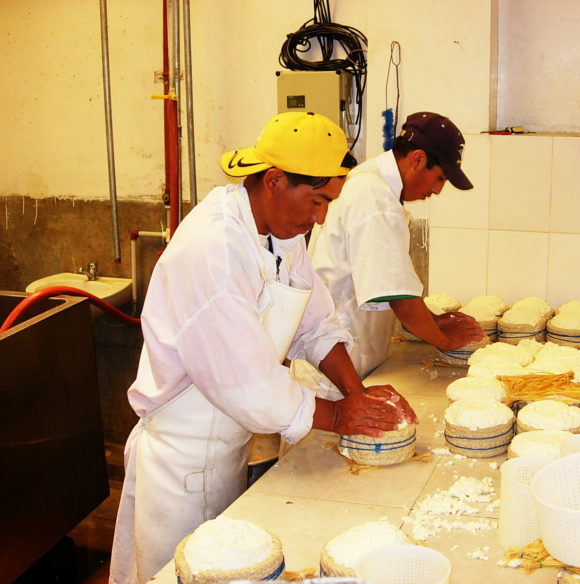 Cooperativa de Ahorros y Creditos Fondesurco (COOPAC FS) focuses on micro and small entrepreneurs, predominantly in rural markets from the South of Peru. Their clients are people who have difficulties accessing the financial system. About 86% are living in remote rural areas, and most live below the national poverty line and their financial needs are limited to their reality as the average credit stands between USD 1.000-1,500. Fondesurco has an exclusive client base of about 55%, one of the highest in the Peruvian MF sector. 46% of clients are female, 70% of total active borrowers are self-employed and 30% have one hectare of their own crop. About 36% of households are made up of four members, two of which have paid work, with a monthly income per family member of about USD 250. Most heads of household have a secondary education level (45%), and the main economic activities are agriculture, livestock and trade. The average poverty rate of the population served by Fondesurco stands at about 36%, having limited access to health services, education, transportation and communications. Fondesurco aims to consolidate the triple bottom line by promoting sustainable economic, social and environmental accountability, based on its strategic pillars and its current offer of client products. 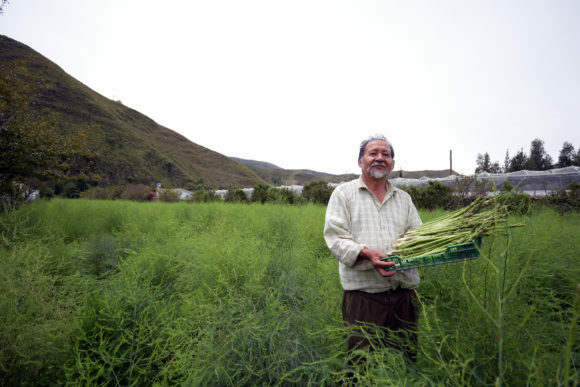 In addition, an internal study shows that 84% of Fondesurco clients increased their income due to credit, which were allocated to improve and strengthen their economic activity (73% through the purchase of machinery/tools, soil improvement, improvement of seeds, improvement in water use), family welfare (37% housing improvement, health, safety), development of family potential (39% purchase of goods that increase the family’s capacity such as computers, washing machine, etc), recreation and comfort (31%, holidays, trips, recreation equipment, television, etc). Fundenuse SA is a socially-oriented MFI founded in the northern community of Ocotal in Nicaragua, providing loans to Northern rural communities where fewer MFIs operate. It serves around 30K clients via 20 branches, through specialized products with high social impact that have fostered strong client loyalty. Products range from individual and group loans, housing, agricultural and livestock loans, and microfranchise, microinsurance and micropensions. This offer is supported by an array of services including basic financial literacy training, best practices and risk management techniques for the agriculture and livestock borrowers, as well as frequent training sessions with agriculture equipment providers in fertilizers, seeds use, etc. More than half of their clients are female. Fundenuse’s clear social roots and rural outreach (with one of the lowest average loan sizes in Nicaragua) made it an ideal fit for Triple Jump. The partnership, which began in 2005, has been very fruitful as our investments have allowed Fundenuse SA to expand its model. In 2015, Fundenuse received an Excellent social score from Microrate and a Gold score in the Impact business model rate by GIIRS, with the highest score in financial services impact business. In 2017, it received the Smart Campaign Certification*, only the 2nd MFI to ever to achieve this in Nicaragua. Check out this short video (in Spanish) which outlines the work of Fundenuse as well as this award. * The Smart Campaign certification is an internationally recognized seal of confidence that a financial institution is doing everything it can and performing at a high standard in treating its clients well and protecting them from harm. Financial services providers can minimize harm to clients by implementing seven rigorous Client Protection Principles (CPPs). 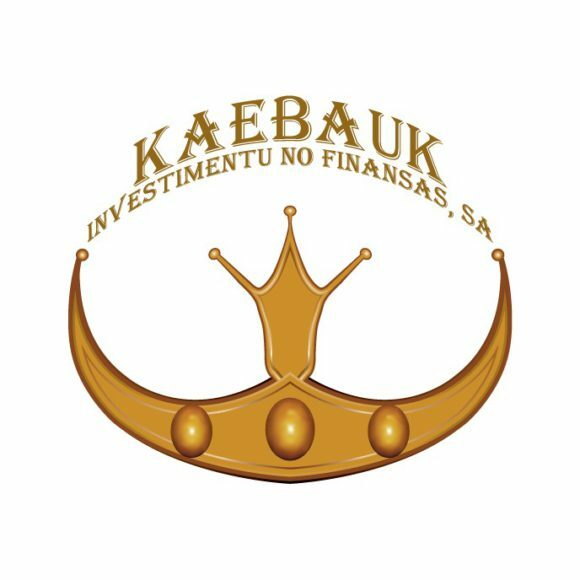 Established in 2002, Kaebuk Investmenu No Finansa, KIF (previously Tuba Rai Metin) is the largest and only deposit-taking regulated microfinance institution in Timor Leste. 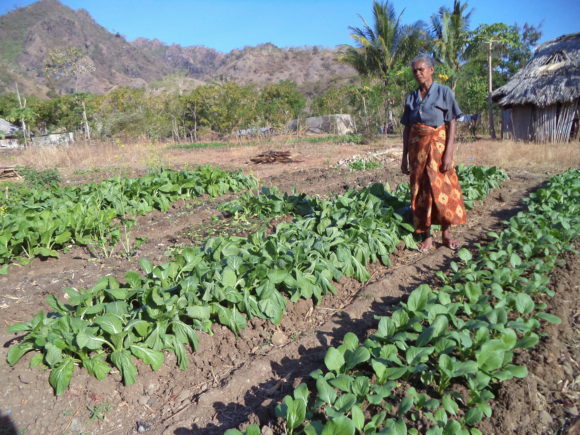 As Asia’s newest and one of its smallest country, Timor Leste faces the challenge of low levels of financial literacy and financial inclusion. It is estimated that 30% of the population is still outside of the cash economy. KIF was established with a mission to provide microfinance and allied services to a large number of the poor in a sustainable and regulated manner to improve the quality of lives of families and empower women.